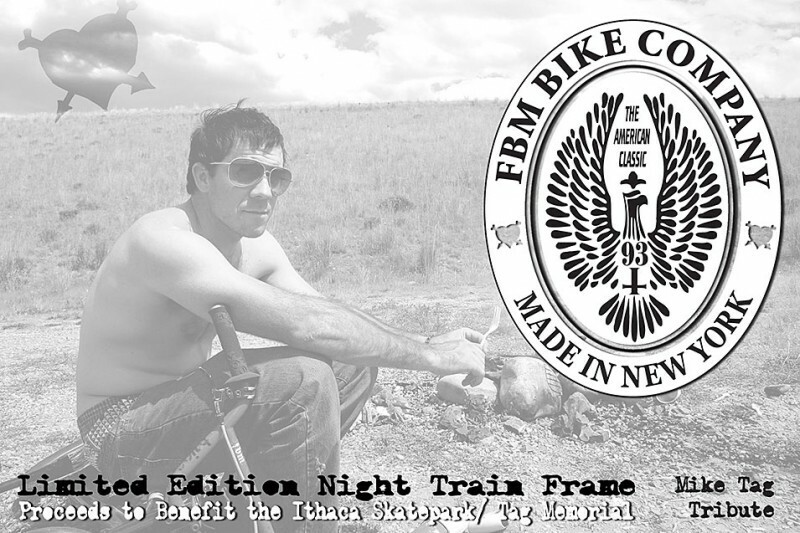 To celebrate Mike Tag’s legacy, FBM is building a limited edition run of Mike’s signature frame, The Night Train. Re-factored for 2012, with the same heart as the original 2001 frame, this tribute frame will go fast. Proceeds from the frame will go to the Ithaca Skatepark and their planned expansion and Mike Tag memorial installation. Head over to the FBM site for info on the frame, how to pre-order and to see a great video that Steve Crandall put together, “Mike Tag Forever”.